Candidates can get the complete details regarding MPPSC Veterinary Assistant Surgeon Recruitment 2018 from this article. The higher authority of Madhya Pradesh Public Service Commission had released the MPPSC Veterinary Assistant Surgeon Recruitment 2018 Notification regarding MPPSC 188 Job Vacancies. We recommend all the fascinated eligible candidates to apply for the MPPSC Job Opportunity. And the candidates should apply for the www.mppsc.nic.in Application Form from 06th August 2018 to 5th September 2018. At the end of the post, we had arranged the link to download the MPPSC Veterinary Assistant Surgeon Recruitment 2018 For 188 Vacancies. From this article, aspirants can get the details like eligibility criteria, application fee, pay scale, significant details and the process to apply for MPPSC Veterinary Assistant Surgeon Recruitment 2018. The candidates who are applying for Veterinary Assistant Surgeon Post should possess the following age limit. Minimum Age Requirement: 21 Years. Before applying for the process, candidates should check the Eligibility Criteria. The eligibility criteria include the educational qualifications, age limit and age relaxation details. We had arranged the complete information in this part. The candidates who are fascinated to apply for the MPPSC Veterinary Assistant Surgeon Recruitment 2018 Notification should have the following educational qualifications. And Registration must be permanent, temporary registration will not be valid. If the aspirant’s performance is good, then they get recruited by the higher authority. They get the salary from the management members. According to the MPPSC Veterinary Assistant Surgeon Recruitment 2018 Notification the officials had stated that the candidates who got selected for Veterinary Assistant Surgeon Post get the pay scale as follows. Based on the categories of the candidates the higher authority of Madhya Pradesh Public Service Commission will decide the www.mppsc.com Application Fee. If the contestants want to participate in the selection process, they should pay the MPPSC Application Fee. The higher authority had decided the following application fee. Before making the payment check the category once and then proceed. Once the application fee is paid, it is not refunded in any case. And petitioners belong to the SC and ST Category has no application fee. To Recruit the skilled and right candidates the higher authority of Madhya Pradesh Public Service Commission had announced the selection procedure. The petitioners who performed well in the selection procedure gets recruited by the officials. To get a job in Madhya Pradesh Public Service Commission for Veterinary Assistant Surgeon Post contestants should face Written test and Personal Interview. If the performance of the aspirants is good, then the management members easily recruit the postulates. Petitioners should log on to the official website of Madhya Pradesh Public Service Commission @ www.mppsc.nic.in. Click on MPPSC Advertisements and search for MPPSC Veterinary Assistant Surgeon Notification. Verify the eligibility criteria with the details arranged in MPPSC VAS Recruitment 2018 Notification. Now, click on MPPSC Veterinary Assistant Surgeon Apply Online link. Furthermore, enter all the required information in MPPSC Veterinary Assistant Surgeon Online Application Form. Upload the photo, signature, thumbprint, required documents and pay the desired amount of application fee. Take a photocopy of the MPPSC Online Application Form after clicking of Submit option and keep it for further usage. The information mentioned in this page is from the official site of the organization. Therefore there is no doubt for the aspirant’s whether the information is correct or not. 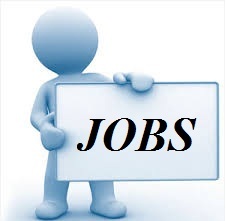 We suggest the candidates visit our web portal Sarkari Recruitment. So that they can get all the latest updates and furnished information.